On an unseasonably warm November Thursday approximately 40 members of The Outriders Society enjoyed one of the many perks of donating time to the Kentucky Derby Museum. 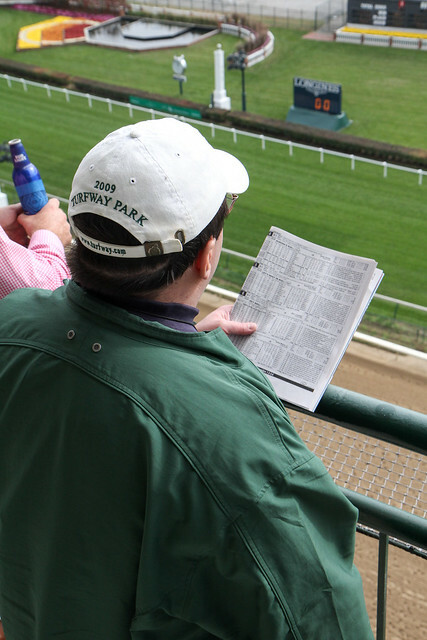 This annual activity is one the Volunteers love and work hard to reach the 50 hour requirement for an invitation to Churchill Downs Day @ the Races on 6th floor Millionaire’s Row. What a wonderful day we had! Great day of racing, a wide range of beautifully prepared items on the buffet and the view of fall foliage from that vantage point is incredible. While food and fun were part of our day, so was co-mingling with Volunteers who do not normally see each other due to varied shifts and date availability of projects within the Museum walls and out in the community. Taking their name from Outriders on the race track, The Outriders Society, volunteer arm of Kentucky Derby Museum, is committed to assisting visitors and staff alike by escorting tours, clerical work, working special events and a plethora of other activities. Interested in donating time to Kentucky Derby Museum? Fill out this online application. Scroll through pictures from this day!